​If you have any questions at all or are interested in one of the available chinchillas, please email me at eastcoastchins@gmail.com - or fill out the form below. I always do my best to respond in a timely manner. 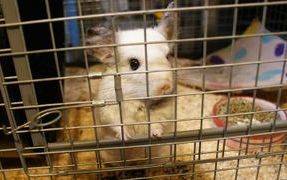 I am more than willing to help you learn about proper chinchilla care, answer all of your questions, ease any concerns, and assist you in preparing to bring home your new pet. Please note that I do reserve the right to deny any adoption if I do not feel the chinchilla will be going to a safe, healthy, happy forever-home.